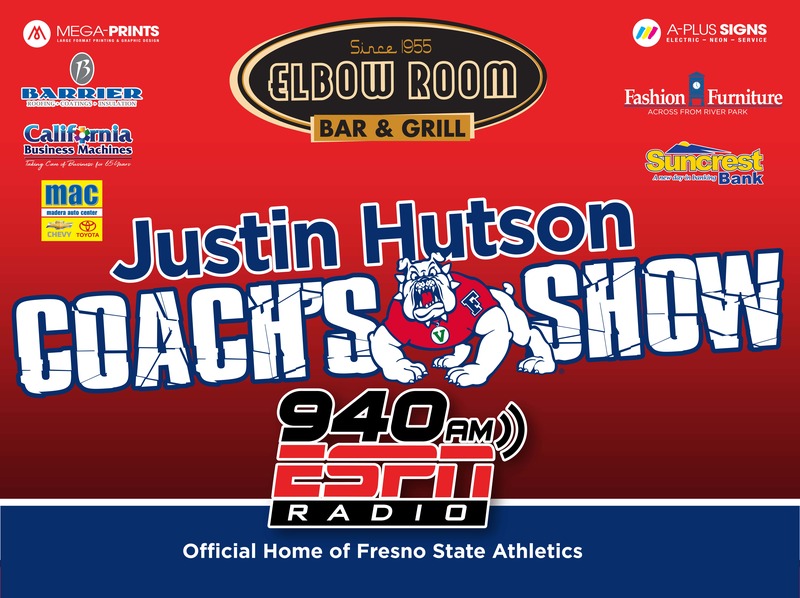 The Fresno State basketball season is underway, which means it’s time for the Justin Hutson Coach’s Show! We are live every Thursday at Elbow Room in Fig Garden Village from 6-7 pm. Enjoy the delicious buffet line of “Bulldog Bites” and join the voice of the Bulldogs, Paul Loeffler, as he gets the scoop on all things Bulldog Basketball!